Rob Hammington, at 70 years young is our oldest Squaddie. He’s living proof that age doesn’t have to hold you back from getting out, keeping active and doing that thing you love. 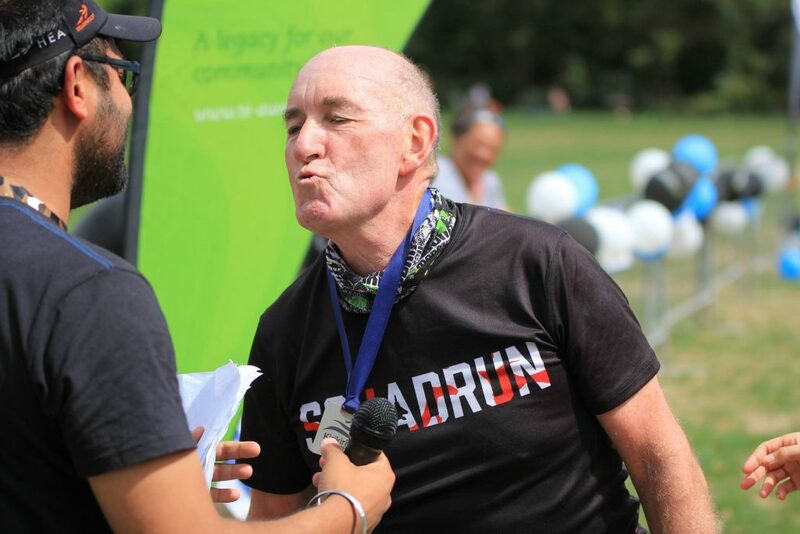 Rob is as keen as mustard and loves getting out to events and having a laugh with like minded runners. We love his enthusiasm! At the end of 1992, at age 47, I was persuaded by a good friend to join Hamilton Road Runners. Prior to that, my so-called running consisted of dragging my sorry backside slowly around local streets for a few kilometres, but I had little interest in the sport. At that stage, I could not run around Hamilton lake (3.7km) without stopping. I was overweight, around 104kg, unfit, and had no idea what I was getting into. Being told that the club had a bar in the clubhouse may have slightly influenced my decision to join. I still had concerns about my spinal fusion at age 35 causing difficulties, so my enthusiasm for running at that stage was somewhat muted. Me an athlete, no way! Being an impulsive person, I was easily persuaded (maybe in the club bar?) 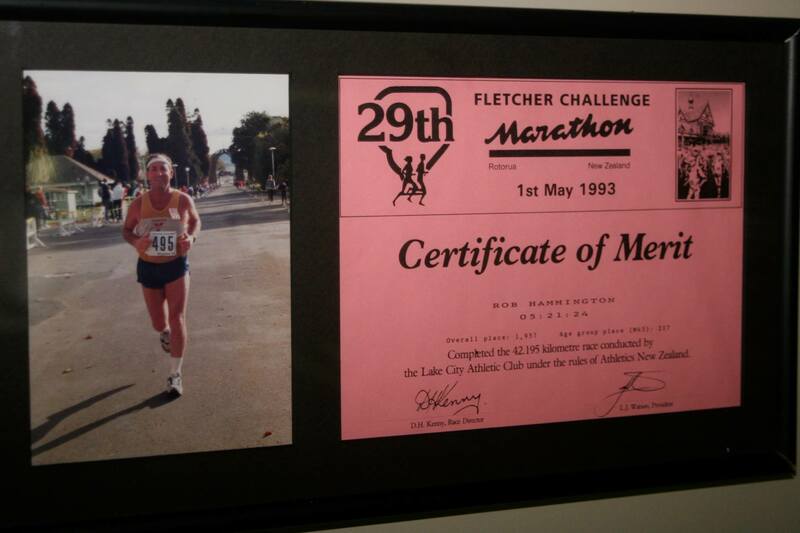 to enter the 1993 Rotorua Marathon, the first and only marathon I ever intended to run. It sure did hurt a lot, with a very ordinary time of 5:21, never beaten since! It was during that marathon that I became aware of the stubborn streak that has been my hallmark ever since. I just do not have the words ‘give up’ in my vocabulary. A few half marathons also around that time saw me achieve my best ever time of 1:57 at Huntly, also never beaten since. 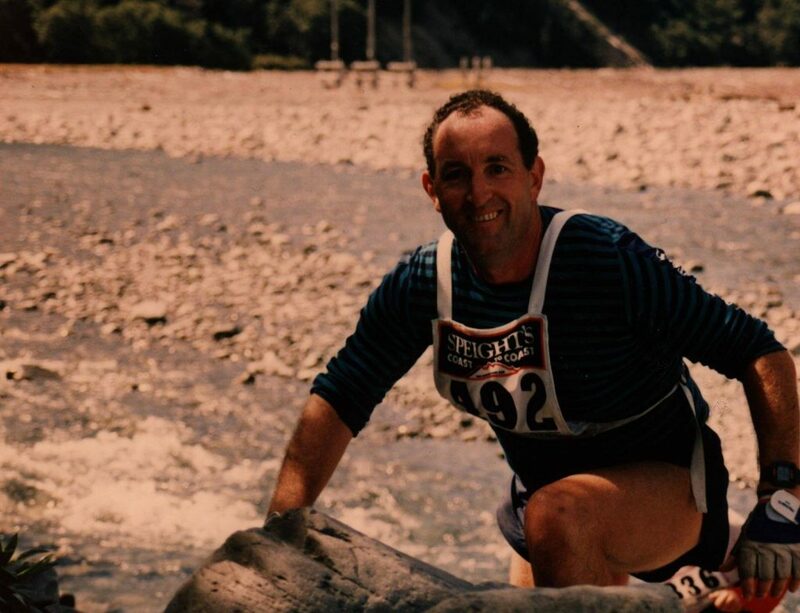 About eight marathons later, and after throwing in other adventures like a two day team event in the 2004 Speights Coast to Coast, I accidentally found out about the Tarawera Ultra Marathon in 2014. My daughter Lisa in Wellington was asked by her personal trainer, Erika Josa, if she knew anybody who wanted to buy her TUM 60km entry as she was injured. I was made aware of the offer and said “Why not”, although I had not the slightest idea what TUM was. I scraped a up a few keen fellow runners from Hamilton, converted the entry to a team (those were the days! ), and we were in! Despite the event being on the day that cyclone Lusi hit NZ, we all had a thoroughly enjoyable time and were instantly hooked on the crazy sport of trail running. We followed up with another team entry in 2015, once again a superb event. Over the years leading up to this, I was entering lots of half marathon events, mostly on road, but a good number off road, like Tauhara and Kinloch. The trail running was rapidly becoming my discipline of choice, and many of my friends also succumbed to the charm of the hills and forests. What I thought originally to be the domain of ‘superhumans’ was now becoming something that I could do, to my intense surprise and delight. I still struggle to run for an hour around city streets, but put me out in the Rotorua forests and trails and I can run, albeit very slowly, for 10 hours and still have some steam left. Where it comes from, I have no idea! 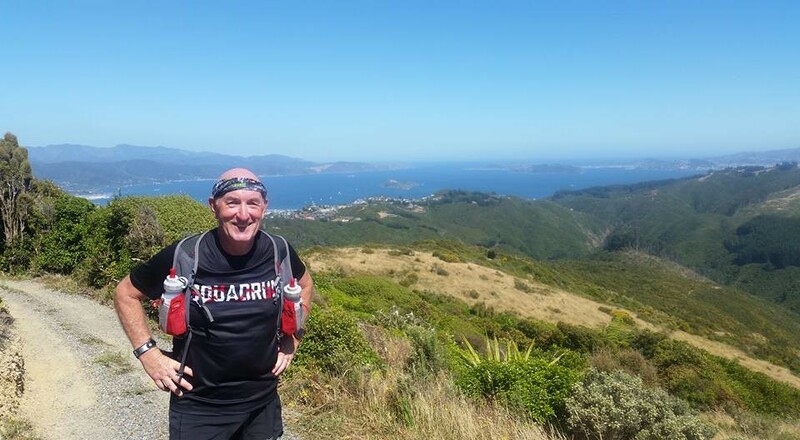 After completing the Tarawera Marathon in November 2015, time being quite immaterial, I decided, with great trepidation, to take the plunge and enter the Tarawera Ultra 60km in February 2016. In a moment of madness I changed my entry to the 85km distance, thinking that dogged determination might just get me there. A number of long training runs on the actual TUM course indicated that I had the legs to meet cut-off times. This gave me some confidence that success might just be possible. Then, on the fateful February 2016 day, along came the worst muddy and wet conditions that TUM has ever experienced. I started at the back of the field and dragged myself through the thick mud, deciding whilst struggling that this was a ‘dumb thing to do, I’m not doing it again’. Sadly, I was removed from the course at Okataina after missing the cut-off by a small margin. It was frustrating as I felt absolutely fine and had hours of energy left. Many others suffered similar fates, failing to complete the distance they entered. I really feel for them too, but in some ways it validates my lack of result. After making my way to the 85/100 finish line at Kawerau, a few sponsor’s ales (thanks Crouchers, it was quite a few! ), mixed with loads of emotional finish scenarios soon had me reaffirming my love for this wonderful sport and the super friendly people involved in it. As I consumed more and more of the consoling ales, a hazy boldness overcame my self-indulgent sadness and I decided to have another crack at it in 2017. I will take the conservative approach and sign up for the 60km, but carry on to longer distances if I meet cut-offs. 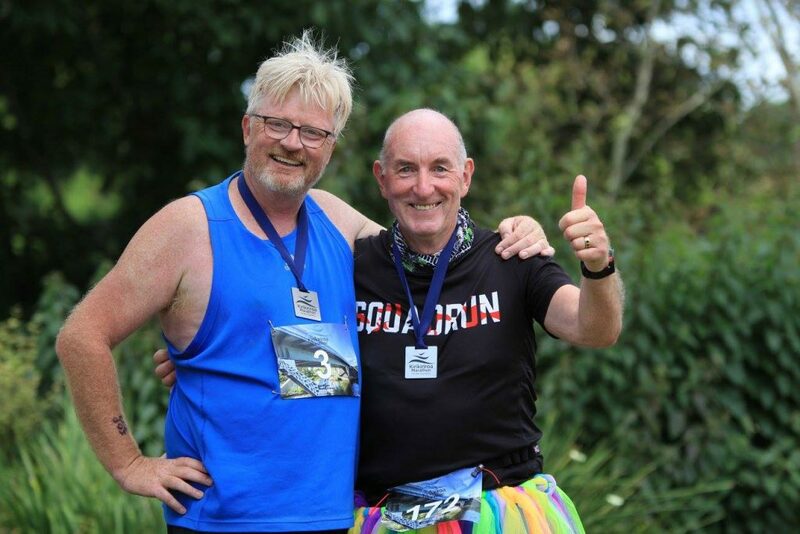 Whilst waiting for the last competitors to complete their run, I was encouraged by a good friend, Sue Hunter, to join Squadrun. Until then, I had never even considered the idea of having a coach, especially a top level guy like Kerry Suter. Why would he bother with a 70 year old plodder like me, surely only rich people or elite runners have a coach? I now know that is entirely untrue and that paying $10 per week for an elite and highly successful athlete to guide you is massive value for money. So, I’m now a proud Squadrun member, the oldest one on board, and looking forward to the support and guidance that membership will bring. Apart from Kerry’s amazing input with very detailed weekly programmes, I do know that other Squaddies are there to help too. I have been astounded at the friendly and responsive relationships that have quickly resulted from my membership. Any time I feel the need for running company, it is there in a flash, with all the help I could wish for. Squadrun has very quickly proven its worth to me, and I will be forever grateful. However, I’m actually out there training now, including a very slow inaugural Kirikiriroa Marathon on 19 March 2016, my slowest yet but no less satisfying. Next comes the Waitarere Half on 9 April, then the inaugural Waitomo 22km on 30 April, leading up to the Hawkes Bay Marathon in May. The big stuff starts at the Tarawera 50km in November, and my ultimate goal of the Tarawera Ultra 60km (at least) in February 2017, an event that I propose to complete no matter how many attempts it takes! My life and enjoyment as a runner has been enhanced by loads of time involved in administration of the sport. I enjoyed a couple of recent years as President of Hamilton Road Runners, also becoming Event Director of Hamilton Lake parkrun which commenced in October 2013. In the course of this administration work, I have gained much pleasure from supporting and encouraging many others to find their finish line, and to obtain results beyond their own belief. Personal experience proves to me that most people are able to achieve far more than they think they can. It gives me immeasurable pleasure to have a small part in enthusing, motivating and somehow inspiring others to do what they formerly considered impossible. Being an old guy, I use my age as a weapon with statements like “If an old bugger like me can do this, surely you can too?”. Such ‘tongue in cheek’ comments are mostly made to folks far younger than I, but underlying the humour is a good dose of sincerity. It does work and I can recount plenty of amazing stories of people who have listened, learned and achieved. This creates as much joy for me as my own exploits out there on the trails. I have no interest in speed, other than what is required to get me past cut-off points on trail events. So, I will continue to build fitness and strength so that I can do two things at every event, cross the start and finish lines. For as long as my backside points downwards, I intend to continue trail running, being as irreverent and badly dressed as I possibly can whilst doing so. I really do enjoy the friendly banter and amazing supportiveness that seems to be so common to trail runners, you’re all mad! That’s me in a nutshell, see you out there guys!